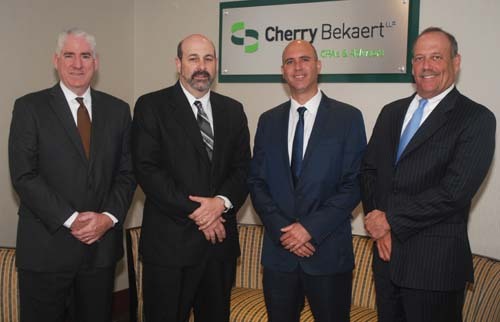 Since entering the South Florida market six years ago, Cherry Bekaert LLP has grown to 150 people including state and national practice leaders. “Our value proposition is in the high level of service we provide in litigation support, forensic analysis, valuations and tax, as well as the traditional accounting practices,” says David W. Appel, CPA, managing partner of the firm’s South Florida practice. In addition to offices in Fort Lauderdale and Coral Gables, Cherry Bekaert has two other Florida offices in Tampa and Orlando. Appel notes that the sophisticated tax planning around a company’s intellectual property (IP) can make a difference for asset protection strategies . “Whether those rights are held in the United States or offshore matters when it’s time to pay the corporate taxes,” he adds. Mark Giallonardo, JD, LLM, principal, is the firm’s tax leader for Florida. Since joining Cherry Bekaert in January, he has supervised a 90-person team that handles both domestic and international tax planning and provides advisory services. Cherry Bekaert’s litigation support team understands how to search electronic documents for keywords, examine spreadsheets on hard drives and track down international tax filings and bank accounts. “Being well rounded in accounting specialties is a definite advantage in this field,” says Shechter.